Guess, You all still remember Trudy Ewurama Marcel, the nurse who has abandoned her post just to go live on Facebook? Well she is back in news again. 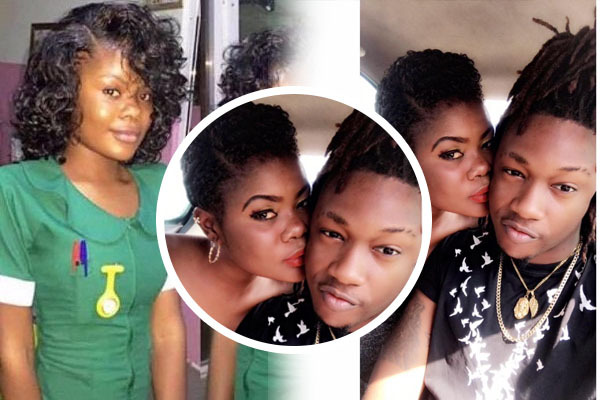 This time, Trudy Ewurama Marcel has shared a romantic photo of herself and her lover on Facebook consoling the latter over his lost. According to the information this Facebook Live Nurse put on her timeline indicates that, fire has gutted everything in his room including some undisclosed amount of cash. 2017 Has Really Been A Mess 🤦🏻‍♀️! At The End Of The Day Ain’t We Alive? What If We Both Were far Asleep Inculding Mum?